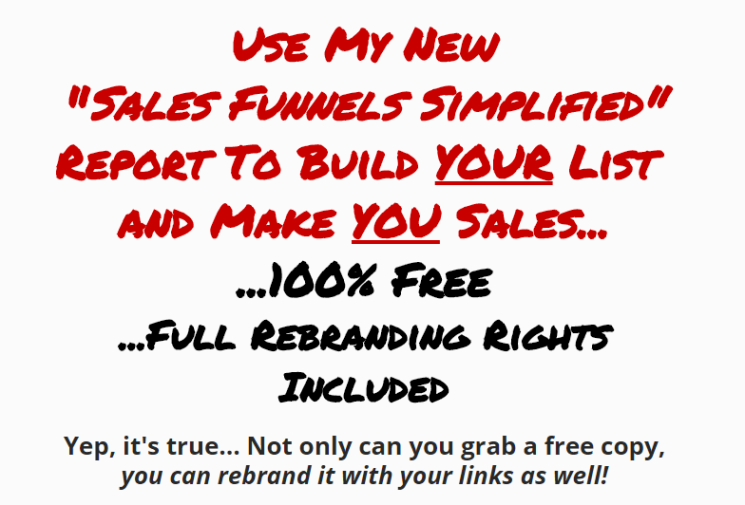 [FREE WSO] Use My Rebrandable Report To Build Your List AND Earn Affiliate Commissions - 100% FREE! Secondly, if you rebrand it, you have something that people will want and will contain YOUR affiliate links - meaning you will get paid on sales that are made from your copy. Offers like this are a no brainer when they are $17. 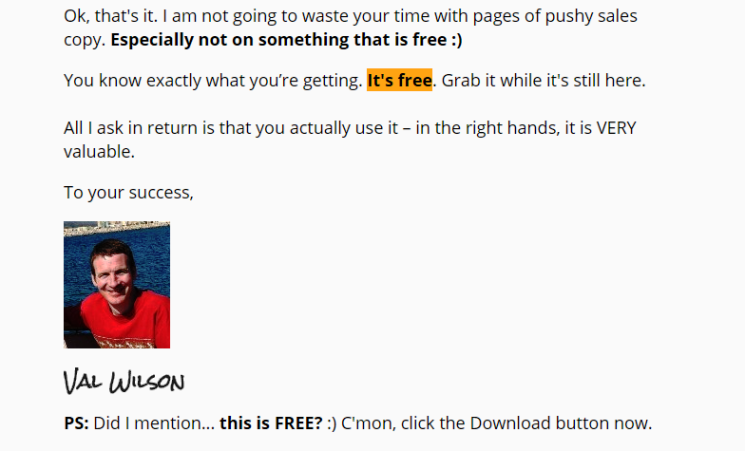 Another insanely fast to set up income stream from Val "The Master" Wilson! I suggest if you are reading this you stop, scroll up and download it! If you don't see the value in this you are either a potato or dead. I have paid $30 or more, for offers with only half the value given away here (for FREE). Get this now, while the getting is good ! I set up my funnel and sent traffic to it. I made 2 sales in 24 hrs while building my list. I now have my own product on JVzoo thanks to you! Many thanks! Let me know what other services you offer. Once you receive the link to download and you press the link...Is not working any more Can you please fixed?